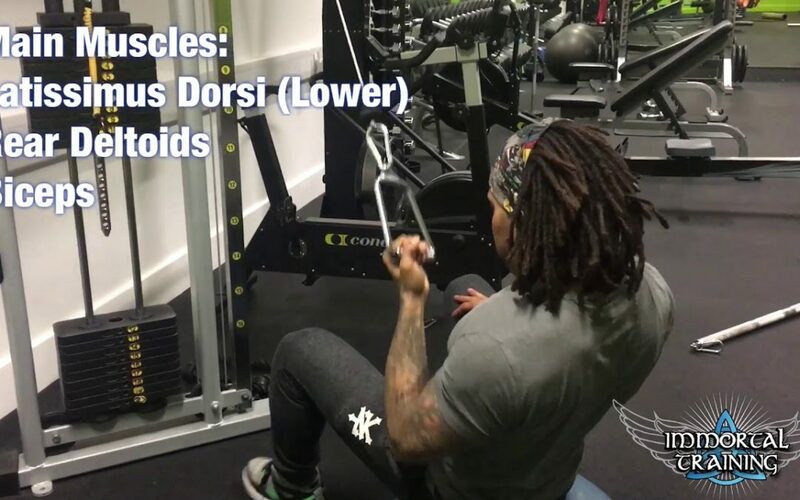 This exercise is great for building lower lats! It allows you to focus on one side at a time, which is best for creating good symmetry. Posture correction cannot be accomplished without constantly stretching the spine back into position. The foam roller works great for this. Many of our lifestyles can lead to a poor posture. Working at a desk, texting on mobile phones, cycling, driving, etc. 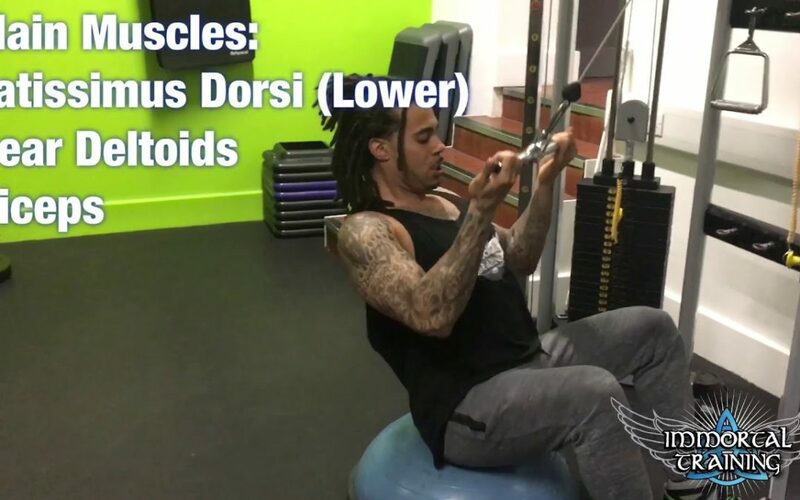 are tasks that require us to become more hunched over, putting more and more pressure on the spine as the shoulder girdle becomes victimised by gravitational pull. 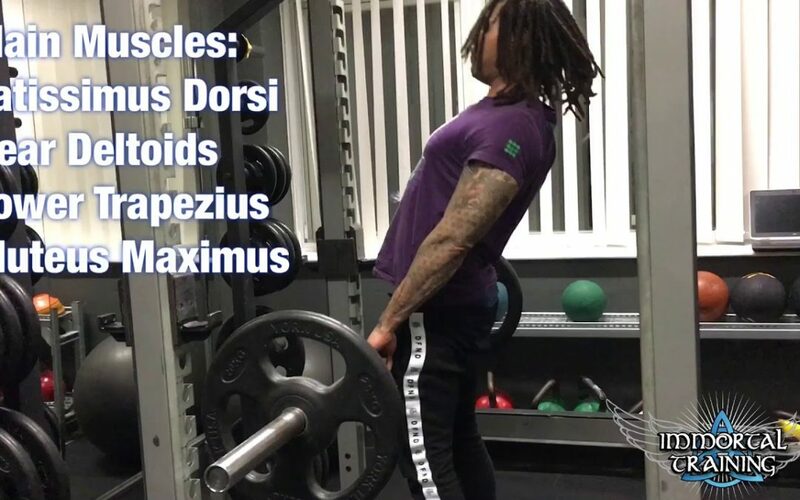 This will lead to lower back pain, upper back pain, knee pain, migraines, restricted nerves, kyphosis, lordosis, and a long list of other biomechanical problems. The only cure is to strengthen the postural muscles while simultaneously stretching the opposing ones (chest, abs, hip flexors, etc.). 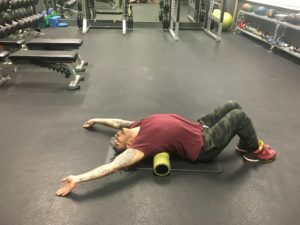 To perform the above stretch, lie on the foam roller so that it is just above the center of your spine (just below the bottom corners of your shoulder blades). 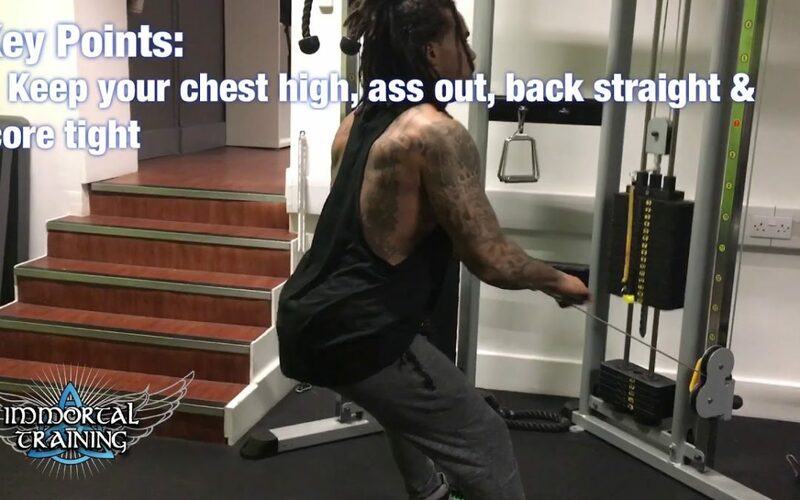 Your backside should be on the floor, knees together and feet flat. Try to wrap yourself around the roller while you reach overhead. Relax and let gravity pull your hands towards the floor. If you experience any clicks or cracks in the shoulders, or spine, don’t panic, as it is perfectly normal. If your range of movement is poor you will find it quite painful and you won’t be able to get your head to the floor. If that is the case expect to feel an uncomfortable pressure on your throat. You can roll up a towel, cushion, or use a yoga block to rest the back of your head on in order to relieve the pressure. Decrease the height of head support slowly over time and you should eventually be able to wrap yourself around it completely. Foam rollers are great for rolling your muscles. Rolling helps release the fascia around the muscles, but is NOT to be used in the same manner on the spine. Only use it for stretching.